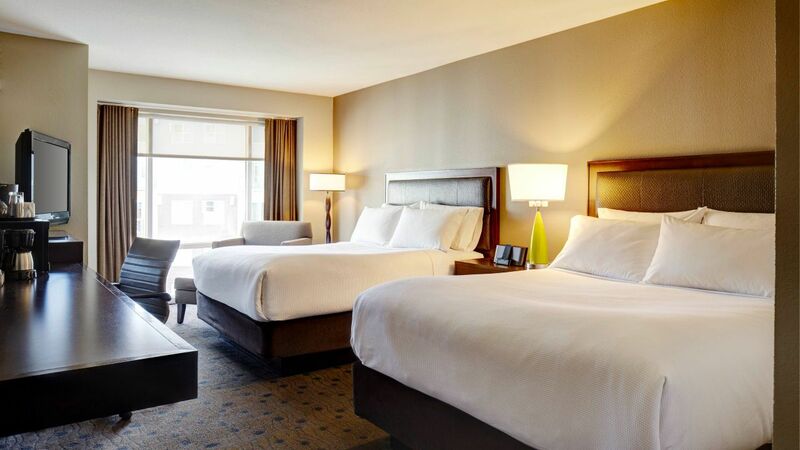 Each room and suite at Hyatt House Seattle/Redmond boasts modern lifestyle amenities while adding unexpected touches of luxury at every turn. 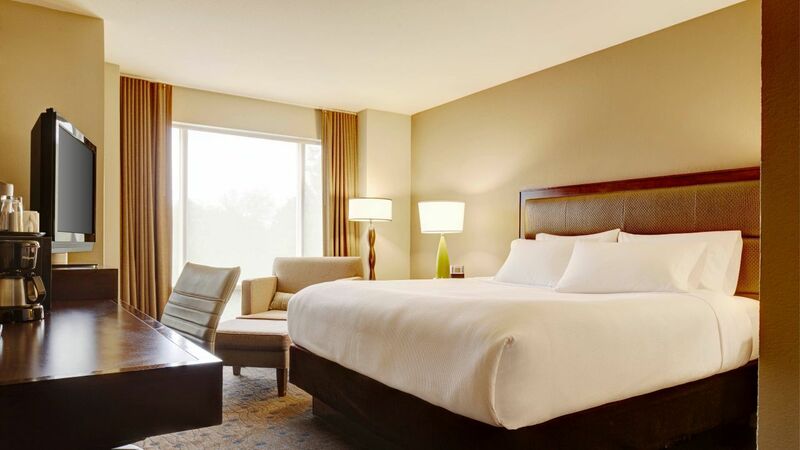 Whether you’re in town for business, sightseeing, or an extended stay, you’ll find that all the necessities of home are right at your fingertips. Whip up a meal in your fully equipped kitchen, or get work done at your spacious desk. Settle in amid contemporary décor, relax on plush furnishings such as your sofa-sleeper, and take a break from your agenda for a little while. 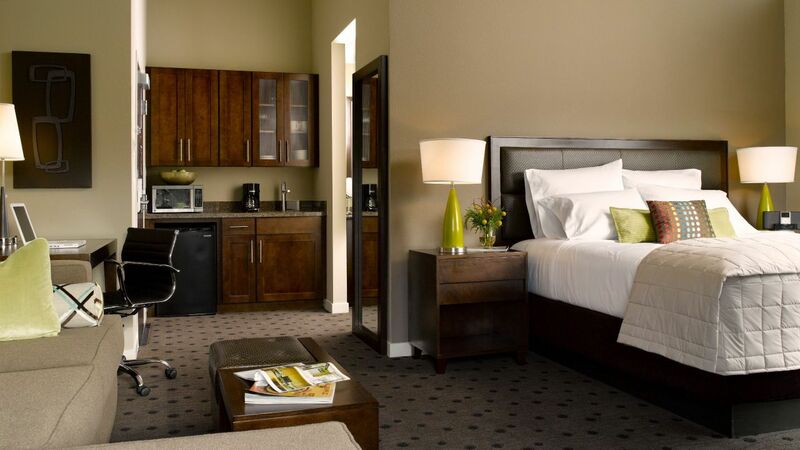 In Seattle, travel easier and stay at a House rather than a hotel. The pinnacle suite offering residential-style touches boasts a living room, full kitchen, and work desk within 501 sq ft of space. 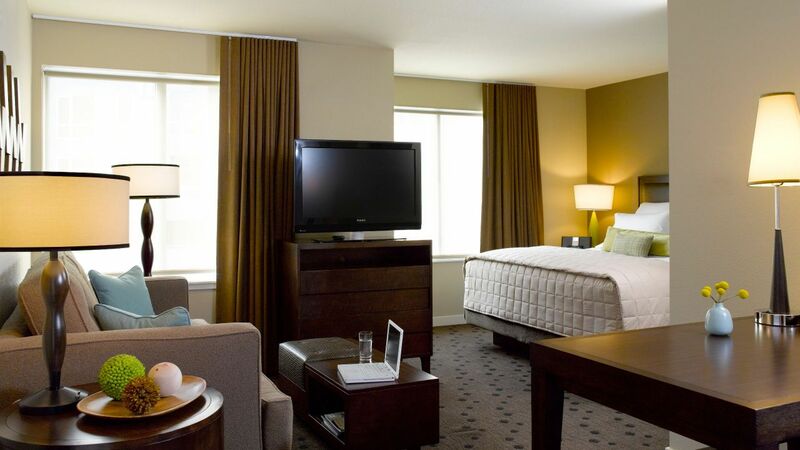 Enjoy a spacious king-bedded room boasting 273 sq ft of space, modern amenities, and a spacious work station. 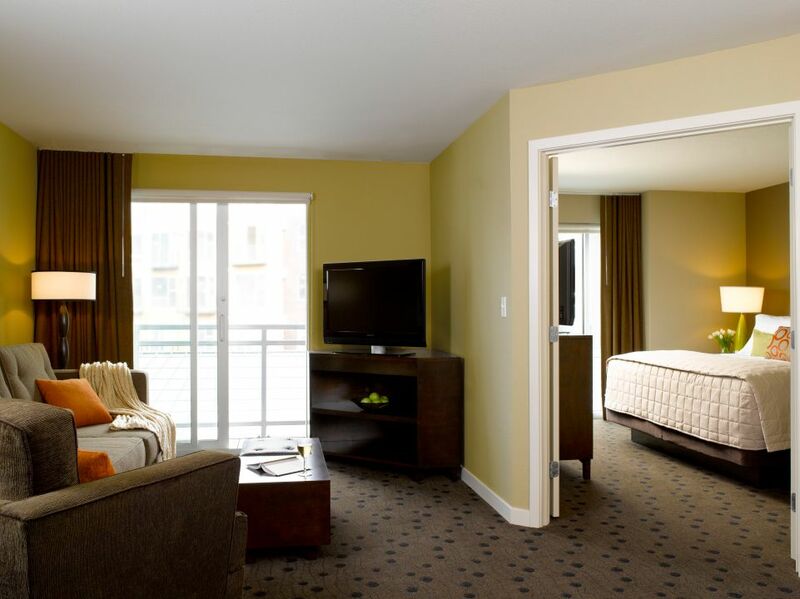 Delight in a contemporary space with two queen beds, modern amenities, and a work desk amid 319 sq ft of space. The Studio Kitchen suite offers all the touches of home, from the spacious living area, to the work desk, to the full contemporary kitchen, all within 374 sq ft of space. The pristine Studio Balcony Suite offers a private balcony, living room area, and mini kitchen, as well as a workstation amid 384 sq ft of space. The spacious Studio Tower suite is host to a wrap-around balcony, a mini kitchen, 16-foot sloped ceiling with dormer windows, a living room area, and a work desk, set within 384 sq ft. Unwind in the Studio suite, with a spacious living room area, work desk, and mini kitchen amid 374 sq ft.
With fully accessible features, this roomy guestroom offers a bathtub, work desk, and 273 sq ft of space. This accessible one-bedroom suite offers modern amenities, a work desk, and a full contemporary kitchen, with 501 sq ft of space. 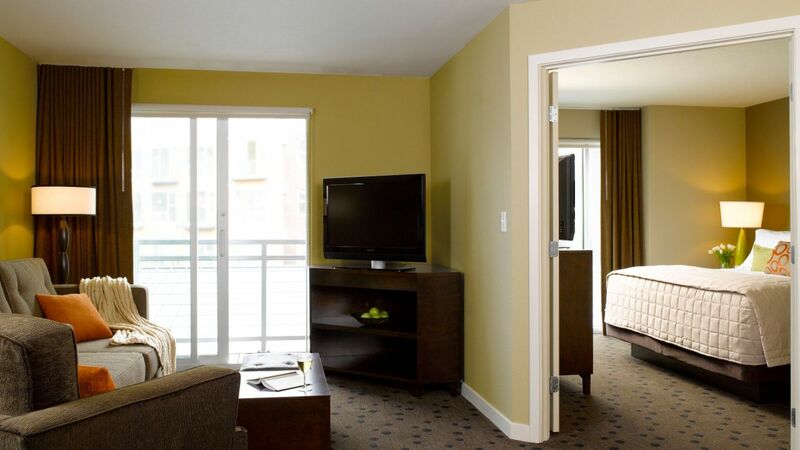 Enjoy this fully accessible guestroom with a bathtub, work desk, and modern amenities amid 319 sq ft of space. With additional space, this residential-style suite offers a roll-in shower, accessible features, a work desk, and a mini kitchen with 374 sq ft. This residential-style studio guestroom boasts accessible features, a bathtub, a work desk, and a mini kitchen, all amid 374 sq ft.